on sunday afternoon, i was sitting at the desk typing on the computer in an effort to get a few things off my to-do list before the work week began. 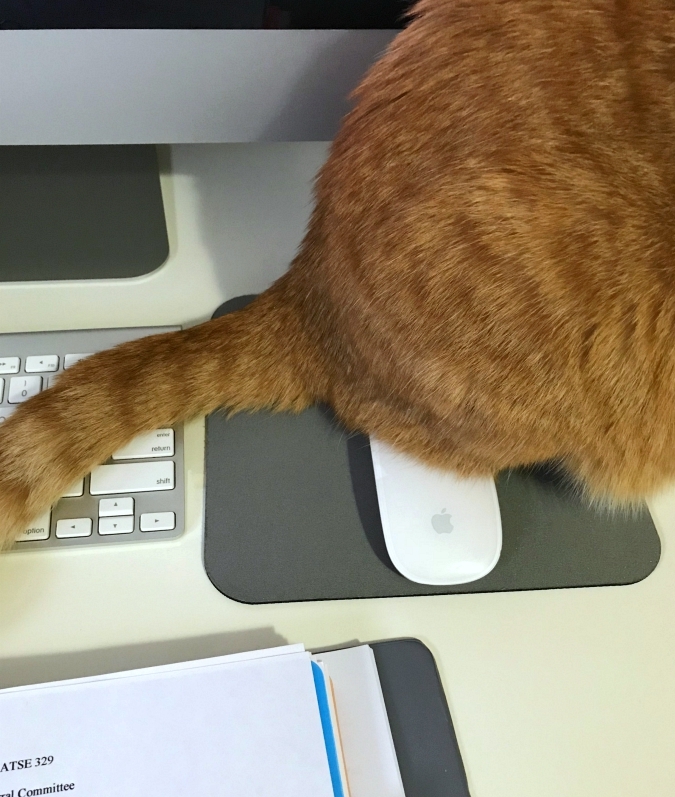 all of a sudden, leko jumped up and sat on the mouse, with his tail across the keyboard, in order to get a drink of water out of my water glass. what i silly guy. He wanted you to pay attention to him not the computer.